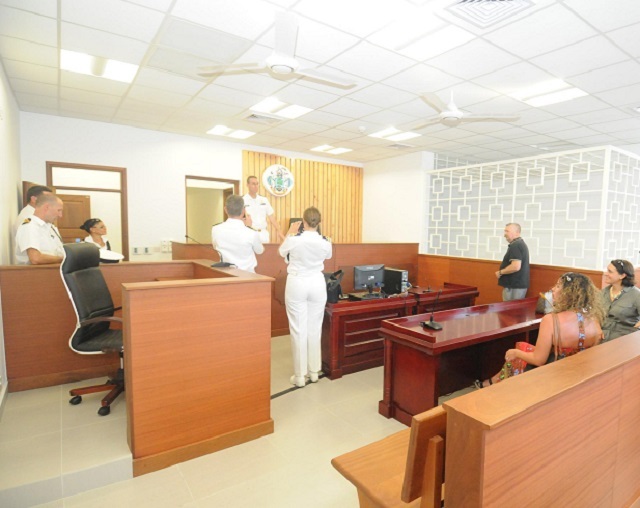 (Seychelles News Agency) - The role of the Seychelles in combating piracy and other maritime related crimes which includes the trafficking of illegal drugs and weapons have been further strengthened following the official opening on Thursday afternoon of a modern court complex that has special jurisdiction to hear cases related to such crimes. Funding for the new facility is a collaboration effort between the United Nations Office on Drugs and Crime (UNODC), the United Kingdom, the Netherlands and the Trust Fund on Piracy off the Coast of Somalia. 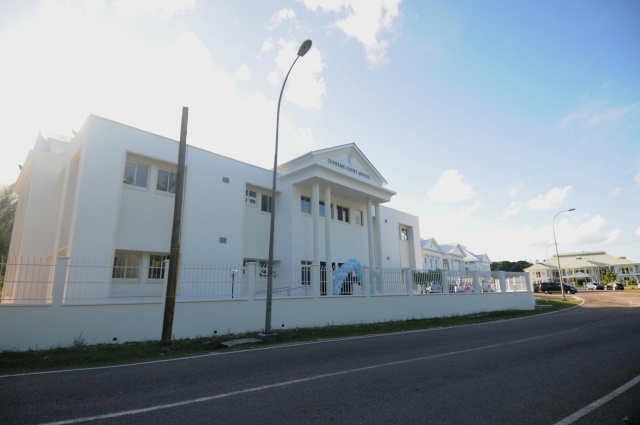 The two-story Supreme Court Annexe is an extension of the Palais de Justice at Ile Du Port, which houses the Supreme Court and Court of Appeal, on the outskirts of the Seychelles capital of Victoria. Equipped with two large court rooms, two judges’ chambers and purpose-built holding cells for detainees among other facilities, it shall also be used as a Magistrate's Court, aside of hearing piracy and maritime crime cases. Seychelles has been actively working with international partners to apprehend and prosecute suspected Somali pirates over the last six years and the island nation has prosecuted more than any other country in the region between the years of 2009 and 2013. The western Indian Ocean island nation, geographically close to the Somali coast, has placed itself at the forefront of the fight against piracy after being greatly affected by the scourge of piracy which began to plague the Indian Ocean since 2005, affecting the islands' tourism and fisheries industries. Several groups of Seychellois fishermen have also been held captive and subsequently released by Somali pirates, the last being a pair of elderly fishermen who were released in 2011 after over a year spent in captivity. 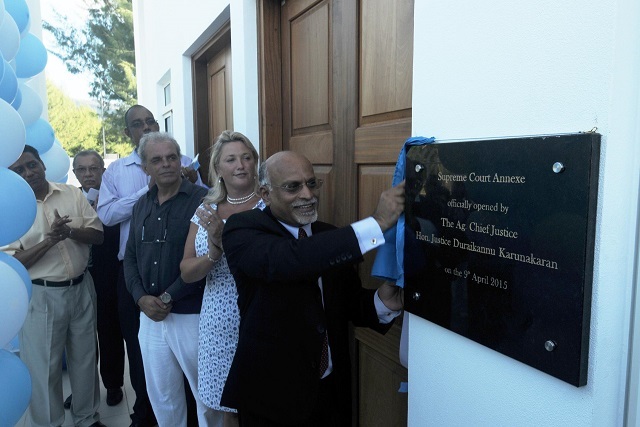 The Seychelles’ Acting Justice Durai Karunakaran has described the opening of the Supreme Court annexe as the culmination of steps taken over the past 5 years to establish the island nation as a unique and leading jurisdiction for combating piracy in the region. “The two new court-rooms in this building shall function as Supreme Court, specifically designated to deal with Piracy and Maritime Security related cases, which involve national, regional and international components and interest,” said Karunakaran. The Seychelles court building dedicated to piracy trials and other maritime crimes, nevertheless, comes at a time when pirate attacks off the vast coastline of Somalia have declined, from 236 in 2011 to two reportedly unsuccessful attacks in 2014, thanks to international counter-piracy cooperation efforts. But in spite of this trend, the British High Commissioner to Seychelles, Lindsay Skoll remarked that “piracy emanating from Somalia might have been contained and its business model fractured, but it remains a threat that has not been eradicated." Skoll noted the suspicious Somali capture of an Iranian fishing vessels last month adding that there is a need to remain vigilant. "Piracy and other forms of maritime crimes remain too lucrative and adaptable a business model, for us to do so. We cannot afford to diminish our support for those in the region, such as Seychelles, who boldly took on the burden and onus of leadership in the fight," said Skoll. Over the last couple of years statistics show that Seychelles has completed 16 piracy trials with 1 trial ongoing while there have also been two appeal cases. These trials involving some 142 suspected pirates have led to the conviction of 138 of them on charges of piracy. According to statistics recently provided to SNA by the Seychelles Prison Services, to date, 114 Somali pirates have been repatriated to Somalia, which includes the three who were acquitted in December last year by the Seychelles Court of Appeal. Most of the other 111 Somalis that have been sent back to their homeland are serving sentences imposed on them for piracy acts committed either at the Garowe (Puntland) and Hargeysa (Somaliland) prisons. These are two detention facilities built by the United Nations Office on Drugs and Crimes (UNODC), as part of its Piracy Prisoner Transfer Programme. “The prosecution model in which suspected pirates detained on the high seas by foreign navies are handed over to regional states for prosecution, has been hailed as a unique and successful regional solution to a regional problem,” said Castillo. UNODC's Senior Country Officer in Seychelles Shanaka Jayasekara, told SNA that the organisation's contribution to the new court complex amounts to $1.2 million. UNODC has funded some $5 million worth of projects in five years to Seychelles which also include extension of prison facilities, equipment and training for law enforcement officers including helping to develop university accredited qualifications with the University of Seychelles in maritime crime and law enforcement, which is offered to four regional states.